WIG is the acronym for “Wing in ground effect.” WIGS are small aircraft that fly very close to the water, using ground effect to reduce the power required. They fly at up to 200KMH from 7 to 10 metres above the ocean, taking off and landing on the water. A new company called Canary Island WIGS is proposing services linking some of the main cities of the islands, and they hope to begin a trial service in summer 2020. Ben Suckling from Coventry entered a £7 competition to win a new Volkswagen E Golf at the airport on his way to his holiday to Lanzarote. Not only did he win the car, but organisers BOTB arrived on the island to present him with his winning car while he was on holiday here. Photo and more in the Coventry Telegraph. 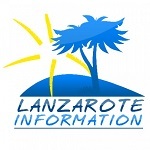 The theme park in Lanzarote has signed an agreement with the university which will allow students from the faculties of Biology, Veterinary and Marine Sciences to develop practices and participate in various research and conservation programs concerning the marine environment and the animal world. Election time is the only period when posters are allowed in Lanzarote, and you’ll see posters going up all over the island in the next few days as the political parties sell their chosen candidates to the electorate.